This compilation of games like Eden Eternal features other free to play MMORPG experiences with anime inspired graphics and gameplay. Set within a very anime themed storyline players are rescued from a blue crystal without a memory of their past. Through quests and exploration of the various game areas players slowly find clues of their past. 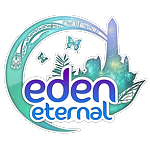 Eden Eternal started in Japan with Aeria Games bringing the game to various western languages. The game is well praised for its gameplay features, in-game systems, guild action and striking anime inspired visuals. In particular Eden Eternal’s large number of classes offer a range of options for players in both the melee, ranged and magic DPS categories. Along with support and defensive classes or even the very unique mimic class. The games like Eden Eternal captured below focus on other anime themed MMO games with a large range of classes and a guild orientated end game. For those that love the guild environment or like to dabble in multiple classes to experience variety the MMOs here will serve you for thousands of hours.